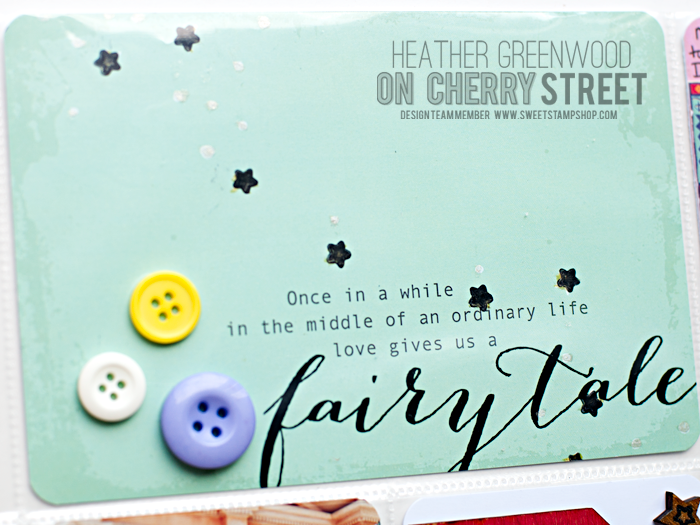 Home On Cherry Street pocket scrapping Project Life stamping Sweet Stamp Shop On Cherry Street - July Kit Release: It's Magical! 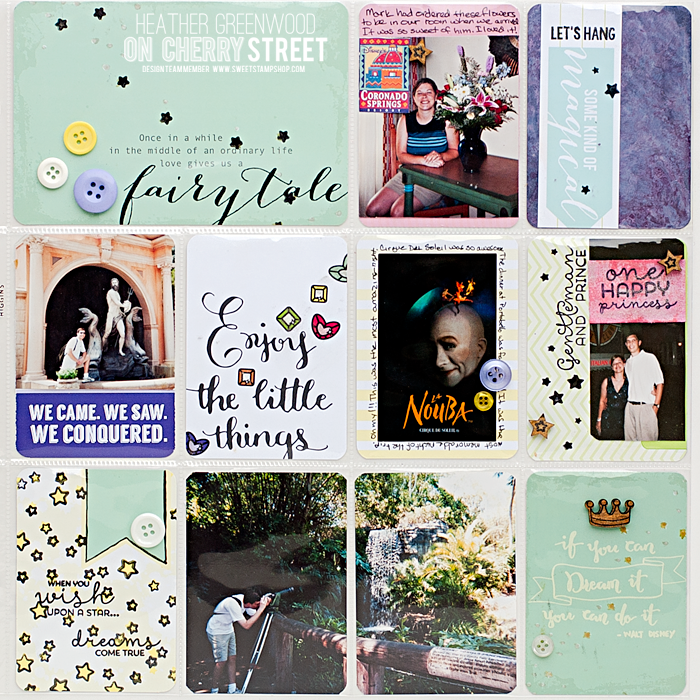 On Cherry Street - July Kit Release: It's Magical! SQUEEEEEE!!! 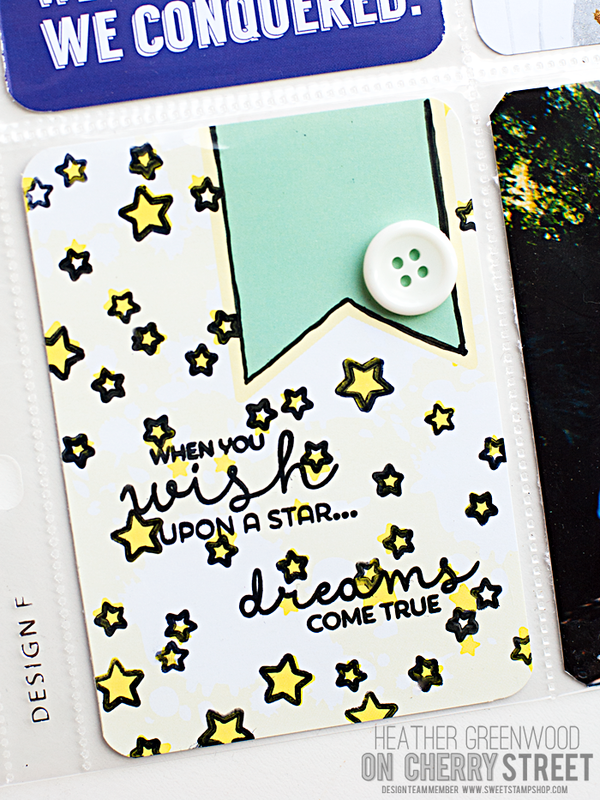 I'm am so excited to be a part of this new launch from Nicole of Sweet Stamp Shop! This kit is seriously amazing AND it coordinates with the stamps from yesterday's release! I love all that comes in this kit! It includes not only 3"x4" and 4"x6" cards, but it has poloraid type frames, wood veneers, an exclusive set of stamps, and some fun embellishments. It is so perfect for not just pocket pages, but card-making too! We are NOT counting how many pieces are in the kit - my coffee shaking - mistake making - clumsy hands ... are the ones putting these together. So we're not saying 10 cards - 10 wood pieces - etc. That's just setting me up for emails complaining they didn't get something. SO, we'll just say - 'Every kit is filled to the brim with over 35 pieces - from stamps to pocket style cards and wooden embellishments. You'll have plenty in the kit to keep the fun going and going!' --- or something like that. The stamps in the kit will only ever be sold in the kit - so it's exclusive and will never - ever - ever - be available outside the kit. Here is my page using bits and pieces from the kit, and also using some of the stamps from the coordinating stamp sets! I seriously LOVE how it turned out and it was soooo PERFECT for our Disney honeymoon photos. Speaking of Disney honeymoon... I'll be back tomorrow with another layout I completed for our wedding album! WOOT!!! 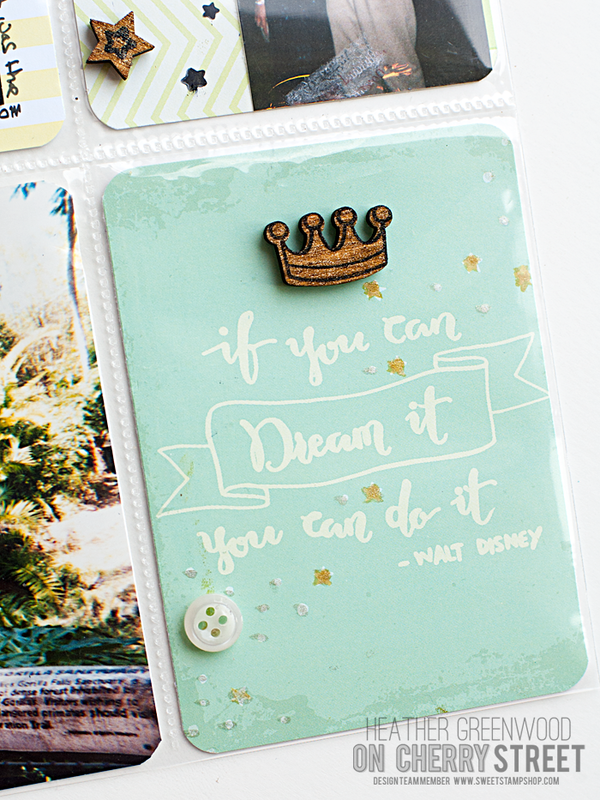 Be sure to check out the Sweet Stamp Shop blog for more inspiration from the kit! I think you'll love it as much as I do!! !